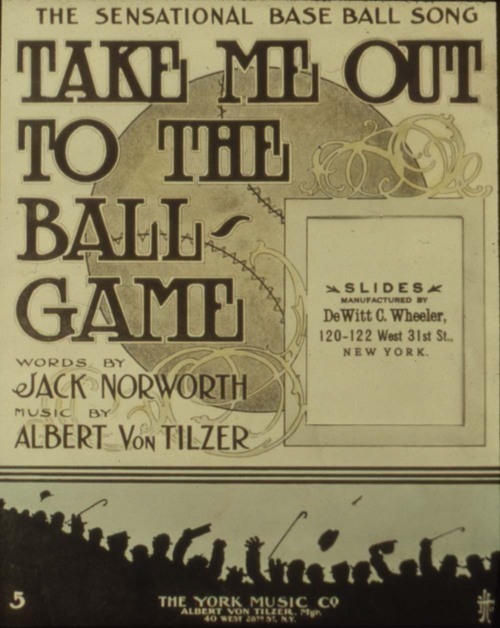 Take Me Out To The Ball Game song slide containing the sheet music cover from the John Ripley lantern song slide collection. The music was written by Albert Von Tilzer and words by Jack Norworth. The song slides were manufactured by DeWitt Wheeler, New York. Collections - Photograph - Ripley, John W.